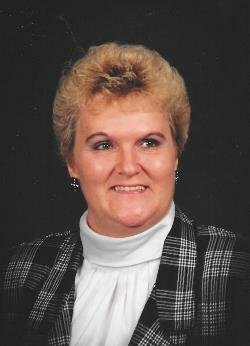 Gladys L. Flint of Lockport, NY passed away quietly on Tuesday March 19, 2019 in Buffalo General Hospital. Born on January 8, 1943 in Hilltop, WV she was the daughter of Harold and Georgia Hicks Flint. She taught writing at NCCC for 13 years and retired. She loved golf and won many tournaments. She played in leagues at Niagara Orleans Golf Club and Willowbrook Golf Course and on the golf Team of NCCC and at the time the only female. She also enjoyed cooking and gardening. Gladys is survived by her partner, Jennifer Hill; her children, Anita (Greg) Leturgey Hart and Norman Bryan Leturgey; two grandsons, Rian Litchard and Christopher (Nathan Cave) Litchard; brother, Frank Flint and several nieces and nephews. Friends may call on Wednesday and Thursday 4-7 PM at LANGE FUNERAL HOME, INC., 186 East Ave., Lockport where funeral services will be held on Friday at 10 AM at Grace Episcopal Church, 100 Genesee St., Lockport. Entombment will be in Acacia Park Cemetery. Memorials may be made to Roswell Park Cancer Institute. Condolences may be made to langefuneralhomeinc.com.